Japanese iconic music collective, Major Force, celebrated its 30th anniversary with a special performance at Red Bull Music Festival Tokyo last September, and it’s hard to imagine what the music and street scenes in Tokyo would have been like if they had never happened three decades ago. Founded in the 1980s, Major Force is Japan’s first ever dance music imprint that would later become the pioneer of hip-hop industry in the country. It then ventured into fashion in the 1990s. Their style still inspires some of Japan’s most popular street fashion labels today. In conjunction with the anniversary, Red Bull Japan has also published a short documentary, titled Major Force be With You. 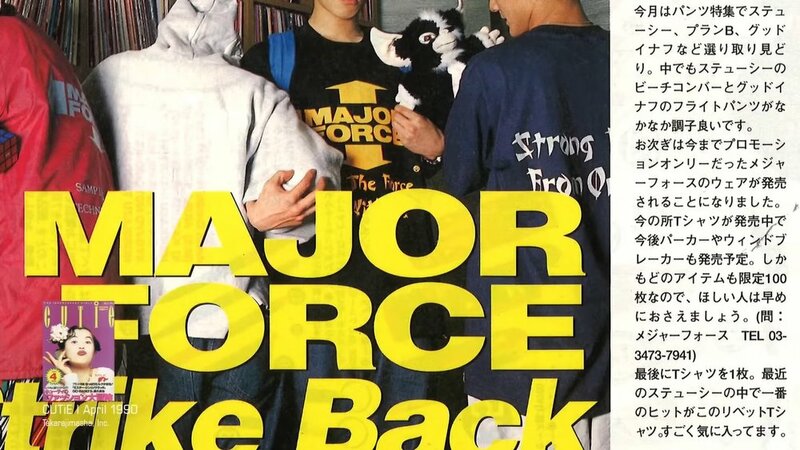 The 12-minute film chronicles the history of Major Force. Members K.U.D.O and Takagi Kan made an appearance in the film to personally talk about how they became part of Major Force. Moreover, the documentary also features interviews with big names from both music and fashion—Hiroshi Fujiwara (Fragment), NIGO (A Bathing Ape), Shinsuke Takizawa (NEIGHBORHOOD), Sk8thing (Cav Empt) and James Lavelle—who share about the influences of Major Force in their lives and careers. Watch Major Force be With You below.